The Dividist Papers: Neocon warmongers for Obama! I was not going to bother, but the Powell and Adelman endorsements have apparently been declared by the blogging powers that be as a mandatory post for all political bloggers. I have no choice but to declare a "Yossarian", as I have periodically done before. and paraphrase Joseph Heller's famous protagonist from Catch 22 - "What if everyone was blogging about the Powell endorsement?" I can only respond as did Bomber Pilot John Yossarian: "Then I'd be a damn fool not to". The topic was not all that interesting, because I don't believe that either Powell or Adelman's endorsement will have any meaningful impact on this election. Obama will be elected for exactly one reason - the country is in the grip of an economic meltdown and market panic during the last few weeks of the election. A poorly executed McCain campaign did not help, but the economic fear swamps all other considerations. Under this kind of economic cloud the electorate will sweep the incumbent party out and the opposition party in. If McCain had kept it close, these endorsements might have made a difference and been important for Obama. As it is, the endorsements are bringing "coals to Newcastle". 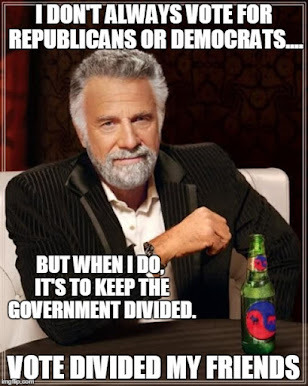 Unfortunately, Obama and the Democrats will claim a mandate, and with no meaningful opposition in Washington, we are on a high-speed hell-bound train to the inevitable bad governance, corruption and abuse of power that always accompanies single party rule. "In 1991 we engaged a grand international coalition because we lacked a domestic coalition. Virtually the entire Democratic leadership stood against that President Bush. 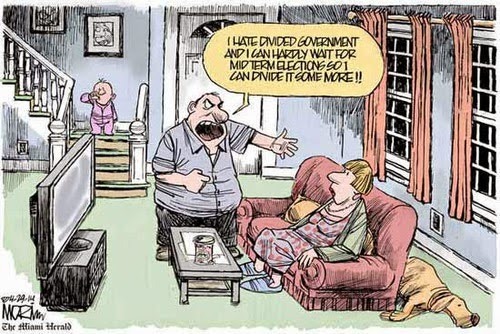 The public, too, was divided. This President Bush does not need to amass rinky-dink nations as "coalition partners" to convince the Washington establishment that we're right. Americans of all parties now know we must wage a total war on terrorism. Hussein constitutes the number one threat against American security and civilization. Unlike Osama bin Laden, he has billions of dollars in government funds, scores of government research labs working feverishly on weapons of mass destruction -- and just as deep a hatred of America and civilized free societies." Adelman was a neocon's neocon. And the neocon "might makes right" eagerness to wield the military as a instrument of policy rather than as a last resort, coupled with their willingness to sacrifice the Constitution, rule of law, bill of rights, and common decency on the alter of "security" is the very reason why the Republican Party is about to rendered completely irrelevant. As regards his professed "loyalty" to the Republican Party or conservative principles, recall that in a 2006 Vanity Fair article, Adelman was only too eager to hold himself and the Neocon philosophy blameless, while throwing everyone else in the Bush administration under the bus. It stands as one of the most gratuitous examples of craven CYA finger pointing ever committed to print. But hey! This is one of the key architects of the philosophy that may have destroyed the Republican party, or at least rendered it politically impotent for a generation. So why not pay attention to him and his endorsement for Obama? Neocons for Obama! Colin Powell is a more interesting study. He has been a frequent topic of posts on this blog. Powell is a man I deeply respected in the Bush41 administration, and would have whole heartedly supported for President in 2000. If we had used the Powell Doctrine as a guiding principle in 2003 as we did in the first Gulf War, we never would have gone down the disastrous Neocon path in Iraq. If Powell understood that this was the wrong path, Powell should have told Bush that he did not support the policy and resigned. Colin Powell enabled George W Bush to make the decision to prosecute the occupation. Colin Powell sold the war to the American people. 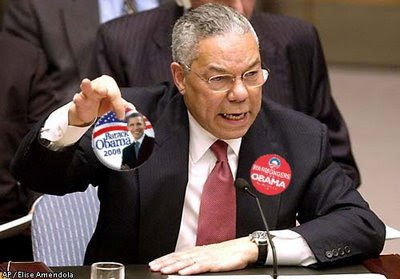 After Cheney and Bush himself, Powell is the man most responsible for the war decision. At some level Powell knows this. He is a study in contradictions. As a consequence of failing to act on what he knew to be right in 2002, he has spent years explaining and justifying his actions. I cannot help but feel that this endorsement is yet another attempt to assuage his conscience, rehabilitate his reputation and scrub the blood off his hands. "Has Sarah Palin "gone rogue"?" You should get a post out about how Palin is staking out her future as the leader of the repubs.